Ivor Grattan-Guinness's parents were Gerald Henry Grattan-Guinness (1909-1985), a mathematics teacher in Bakewell at the time of Ivor's birth, and Mary Helena Brown (1902-1985), the daughter of William Owen Brown, the Chief Inspector of Police in Blackburn, Lancashire. 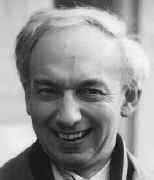 Gerald Henry Grattan-Guinness had studied mathematics at King's College, London, between 1927 and 1930. Gerald and Helena married in December 1930 in Blackburn, Lancashire; at this time Gerald had become a mathematics teacher in London. Later the family moved to Bakewell when Gerald was appointed as a mathematics teacher there. It was in Bakewell that Ivor attended primary school. In 1952 Gerald Grattan-Guinness was appointed as Deputy Director of Education in Huddersfield, Yorkshire, and the family moved there. My own entry into the history of mathematics was motivated by a reaction against the experience of learning, or rather being taught, mathematics as an undergraduate at Oxford. As is usual in education, the caloric theory was assumed: everything taught by the expert was learnt by the beginner. The effect on me was to appreciate the existence of remarkable bodies of knowledge; but proper access to them was scarred by the "perfect" expert delivery. What was the, or a, motivation for these theories? How did they come about; surely not falling out of the sky onto blackboard or book like raindrops? I put these questions to some of the lecturers; silence attended the second one, but to the first I was told that further theories could be learnt afterwards; possible difficulties in launching a well-order sequence of theories never crossed the expert mind - a situation encouraged by the doubtlessly incoherent forms in which I posed the questions. I spent some time in industry discovering that two of the main secrets about the defence industry were the amount of money and effort spent on it, and the ineffectiveness of the defence provided against aircraft. During the Cuba crisis we happened to be analysing possible sources of malfunction of one of our systems over the sea; this produced insights about possible outcomes of that crisis through similar malfunction over Cuban waters which I have not seen discussed. Some colleagues did not come in on the latter days of the crisis, preferring to be with their families at the end. There was one, very positive, side to Grattan-Guinness taking this job in London. He had always been keen on music, being an excellent pianist and singer, and, when in London, he joined the BBC Choral Society. In 1963, in this Society he met Enid Neville and they were married in the church in Englefield Green, Surrey, on 9 January 1965. Now at the beginning of 1964 he had begun looking at possible ways to continue with his academic studies and enquired about post-graduate study in the Department of History of Science at University College London. He was advised that what he was looking for would be more likely found at the London School of Economics with an M.Sc. in the philosophy of science. This option looked attractive, so he went for it and, later in 1964, he accepted a position as a mathematics teacher at Enfield College of Technology which is in north London. Married life, therefore began with Grattan-Guinness teaching mathematics and studying part-time for an M.Sc. I was already amazed both that many techniques and definitions in mathematical analysis, and also set theory itself, had been stimulated by problems in Fourier series, and equally that no teacher or book on the subject ever mentioned the links (because, I soon realised, the authors themselves were ignorant of them). Now scales were falling from the eyes: mathematics turned out to be a human endeavour, with people working on interesting problems and even making mistakes sometimes; the work led to lines of influence over the generations. What an extraordinary transformation, or rather creation, of my understanding; it took months to take place, and consequences have been arising ever since. He then began undertaking research on Fourier and Cauchy. Relevant Fourier manuscripts were available in Paris and he was advised by Tom Whiteside about working with manuscripts and given other useful advice on how to undertake research on the history of mathematics. He registered for doctoral studies in the Department of Mathematics of the London School of Economics and was assigned Cyril Offord as a thesis advisor. Offord was an expert on measure theory and Grattan-Guinness was tempted to change to undertake research on the history of measure theory but he decided to stay with Fourier and related ideas. He was put in contact with Edward Collingwood whose work on set theory had given him a strong interest in Georg Cantor. Collingwood suggested that Grattan-Guinness would find interesting material at the Mittag-Leffler Institue and Collingwood personally funded Grattan-Guinness's research visit there in 1968. It was a very fruitful visit, the first of two. Collingwood, who had known W H Young personally at Aberystwyth, put Grattan-Guinness in touch with Cecily Tanner (1900-1992), the eldest daughter of W H Young and G C Young. Cecily Tanner had the manuscripts left by her parents and she was also able to put Grattan-Guinness in touch with Georg Cantor's grandchildren who possessed Cantor's manuscripts. In this study, Grattan-Guinness exhibited what have become hallmarks of his research: penetrating readings of key primary sources in a wide range of languages and broad syntheses of mathematical ideas. This work, with its extensive examination of the mathematics of Cauchy and his immediate predecessors, also served to focus Grattan-Guinness's attentions on the early nineteenth-century French scene, a vast topic that came to dominate his research for some two decades. The conclusions that he drew about Cauchy, effectively claiming that he took ideas from Bolzano without acknowledgement, were not accepted by all historians. We have listed extracts from reviews of the book version of his thesis, most positive but some negative, at THIS LINK. Many other books followed: (with J R Ravetz) Joseph Fourier, 1768-1830 (1972); Dear Russell-Dear Jourdain: a Commentary on Russell's Logic, Based on His Correspondence with Philip Jourdain (1977); (with H J M Bos, R Bunn, J W Dauben, T W Hawkins and K Moller Pedersen) From the Calculus to Set Theory, 1630-1910: An Introductory History (1980); Psychical Research: A Guide to Its History, Principles & Practices - in celebration of 100 years of the Society for Psychical Research (1982); Convolutions in French Mathematics, 1800-1840 (3 volumes) (1990); The Rainbow of Mathematics: A History of the Mathematical Sciences (1997); The Search for Mathematical Roots, 1870-1940: Logics, Set Theories, and the Foundations of Mathematics from Cantor through Russell to Gödel (2000); and Routes of Learning: Highways, Pathways, and Byways in the History of Mathematics (2009). We have listed extracts from reviews of some these books, and also some of the books that he edited, at THIS LINK. We mentioned above that Grattan-Guinness began teaching at Enfield College of Technology in 1964. Two years earlier this had been Ponders End Technical Institute, founded in 1901, but it had been renamed Enfield College of Technology in 1962. In some sense Grattan-Guinness remained there for his whole career, although the changes in the Institution over the years makes it looks as if he worked at different institutions. In 1973 Enfield College of Technology became part of Middlesex Polytechnic. In fact, at this time Enfield College of Technology was one of seven different colleges around London which came together to form Middlesex Polytechnic. In 1992 Middlesex Polytechnic was joined by several other institutions when it became Middlesex University. Grattan-Guinness had been promoted to reader in mathematics, holding this position until 1993 when he was made professor of the history of mathematics and logic. He remained at Middlesex University until he retired in 2002 when he was made professor emeritus. As a research supervisor, Ivor was unparalleled. Despite what may have appeared to those who did not know him well as an intense and rather brusque persona, he was in fact a tremendously kind and generous man gifted with a powerful intellect and love of his subject. From the moment work began, the student would be showered with papers, articles, newspaper cuttings and other material relevant to their research. Ivor was a consummate professional and expected his students to be likewise, encouraging active participation in meetings, seminars and conferences, and fostering connections with other in the history of mathematics community. regular weekly or fortnightly meetings with him, usually over lunch near an archive in central London, were the student's opportunity to discuss their work with Ivor and occasionally reveal any discoveries they had made. Such revelations were frequently accompanied by Ivor's wide-eyed exclamations of "Really??" To the novice researcher, such expressions of excitement and interest, the free acknowledgement of gaps in his own knowledge, and the willingness to learn from his students were the sources of tremendous encouragement and inspiration. There are many important contributions made by Grattan-Guinness other than his research and teaching contributions and we must indicate some of them here. In 1994 he edited the substantial two-volume Companion Encyclopaedia of the history and philosophy of the mathematical sciences. This involved contributions from 130 different scholars. He was appointed editor for mathematics and statistics for the revision of the 'Oxford Dictionary of National Biography' in 2004. Ivor was the editor of the 'Annals of Science' from 1974 to 1981, and continued to serve on the Editorial Board to the end of his life. Although others have enjoyed longer periods as editor, Ivor's role was crucial in decisively rescuing the fortunes of the journal when they had reached a low ebb. ... Ivor brought rigour, and considerable vigour and thoughtfulness, to editing a journal with a very wide remit in the history of science. Conceiving himself as a non-professional outsider to a subject of such enormous scope, he instituted an Editorial Board of specialists to cover various fields and delegated to them most of the refereeing process. In terms of discipline building, however, perhaps Ivor's greatest accomplishment lay in establishing a more specific field. As part of this work, in 1979 he founded the journal 'History and Philosophy of Logic' and served as its editor until 1992. It is striking how much of Ivor's work was biographical in approach. Partly, this reflected his interest in rescuing second-order figures and countering the heavy concentration in the field on a handful of Great Men. Above this, however, the biographical approach was consonant at a deeper level with Ivor's convictions about the need to understand what he conceived of as the intellectual and social 'factors' entering into the process of mathematical and scientific research. To late twentieth-century exponents of the new sociological history of science such talk of 'factors' missed the key point they were trying to pursue. For Ivor, though, the sociologists were illogical. They argued, he thought, that social influences on a historical figure (p) determined that figure's scientific interests (q). Their claim had the logical structure 'p; if p, then q; hence q'. However, their argument, he contended, usually amounted merely to 'p and q' from which nothing could be inferred. To obtain a little insight into his views about using the history of mathematics in the teaching of mathematics, see this extract from Chapter 0 of From the Calculus to Set Theory, 1630-1910 at THIS LINK. ... we are pleased to recognize Ivor Grattan-Guinness with the highest honour in the history of mathematics, the Kenneth O May Prize and Medal, awarded for lifetime scholarly achievement and commitment to the field. Finally we note that in 2010, Grattan-Guinness was made an honorary member of the Bertrand Russell Society. Ivor was a man of many eccentricities. In later years he was wont to appear to fall asleep in seminars and conference talks, particularly after lunch, only to wake up and ask a penetrating question at the end. An erratic driver, car journeys with Ivor were always memorable, not least for having survived them. Ivor loved music of almost all genres, played the piano to a high standard and sang in choirs with Enid. Their home in Bengeo, Hertford, was a haven for visiting scholars from all over the world, and Ivor continued his researches until the final weeks of his life.